What’s the deal with people who enjoy fear? This time of year brings out two different types of people. The first being the enthusiasts of the Halloween season; those who love the ghouls and goblins and take the challenge of a haunted house head-on. The second, being those dragged into the season, dreading the idea of houses adorned with creepy spider webs or their friends itching to watch the newest scary movie. These people wonder why there’s an appeal to being scared. Why willingly subject yourself to fear when you could instead watch a comedy while you enjoy the changing colors of the fall season? 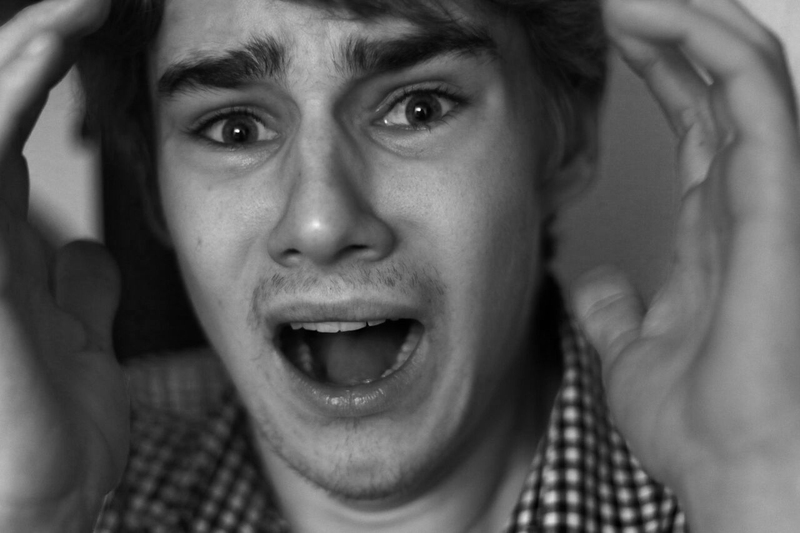 People experience fear in different ways, even within the same scenario. Two people can see the same movie and have very different experiences related to the fear they feel. “Some people become terrified watching a scary film, others may be more afraid to walk back to their cars in a dark parking lot after the movie ends,” Lou Dzierdak said in his exploration of fear on Scientific American. Ideas embedded in the brain from a scary movie might come up later when you get up to get a glass of water in the middle of the night, or maybe you’re crying in the theater, unable to finish the movie. The idea that movies are pure acts of fiction and not real becomes questioned and irrational fear of nothing can riddle the brain leave you paralyzed. This fear of intangible things is a concept used in movies like “It” and “Friday the 13th” where the villains are powered by fear itself. Everyone experiences it differently and these villains cater the terror to each person. This unpredictability between people and their perception of what is scary is fuel for a horror film in itself. For example, in the movie “Mulholland Drive”, there is a scene where two characters meet at a diner in order to put a strange dream to rest. The character just has to know if a strange figure is behind the restaurant. The slow walk to the back of the restaurant with the music scratching the at the viewer’s brain-building tension that could not be walked through. The tension is broken by the appearance of quite possibly the scariest figure in all of cinema. Sound is sucked out of the scene and the man faints. The rush of fear is coming from the building tension of going to go see the figure behind the restaurant but also actually from seeing the terrifying figure. The ideas of what could happen after the buildup could be just as scary as any figure standing still. It is the combination of all these things that give people their thrills. By the time for the scary reveal the body is about to pop and lash out against whatever may be waiting for it. But why do people like it? One reason could be shared with the likes of skydivers and deep sea divers, the release of a chemical called dopamine in the brain. That rush and increase of your heart rate when you jump from Freddy Krueger’s claws popping out of a bed comes with a boost of adrenaline straight to your head. People get addicted to this rush and seek it in any platform they can find. “When our bodies are primed for danger — which is the physical state in which fear puts us — we achieve a weird kind of high,” Rachel Feltman says in her Washington Post article on her love of being scared. Some people don’t like the dopamine rush that being scared gives you. Everyone’s brain chemistry is different, but that doesn’t mean that enjoying being scared makes you a psycho or a sociopath (maybe.) However, what it does mean is that some people’s brains lack the ability to “brake” the dopamine release and reuptake. This explains why some people really get a kick out of scary movies or haunted houses, while others don’t get the same thrill. Fear can be used in your favor. Using it to your advantage can yield to real accomplishments in many different ways of life. It is the reason some professional extreme athletes are able to do tricks, like the ones who take part in the X-Games. They take the fear and mold it into a challenge to overcome. Taking part in activities that scare you can mean a paycheck, a check on a to-do list or a sense of completion. So not all lovers of being scared are freaks. Just because you like a good, jumpy, horror flick or get your thrills from knife juggling does not mean you are a psychopath. In fact, there are real advantages of enjoying fear. Exploring things that are scary but interesting can result in gaining knowledge about something you may have never known about. Having control over fear can result in great mental and physical accomplishments. Most importantly, visualizing fear and having a reaction to it is knowing your limits, and knowing yourself is the key to everything else. Halloween – Michael Myers reeks havoc on his hometown. His blank white mask with haunt your dreams. The Shining – A long stay in a secluded, giant hotel sees Jack turn into a psycho set to murder his entire family. Killer Clowns from Outer Space – Okay this movie is a little silly but there are some disturbing scenes in here. Campy classic with scary clowns. It Follows – with a 97 percent rating on Rotten Tomatoes and critical acclaim, “It Follows” is heralded as one of the best modern (2015) horror movies. A supernatural force that follows and kills victims is sure to bring out the paranoia in your living room.